Castle by day, Function venue by night. Great times… all the time! Gather your troops and storm Australia’s Biggest Castle! Join us for some of our upcoming weekend program days with our Princess Jemma, Sir Justyn, Lord Stephen and more! The Sunshine Castle is medieval museum / tourist attraction and function venue. This Sunshine Coast attraction promotes history, encourages education and facilitates unique celebrations. Built in 1972, it’s been a Sunshine Coast Cultural Tourism icon for 45 years. Furthermore it is the most significant architectural landmark in Bli Bli. 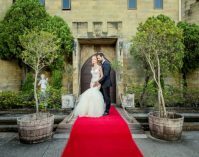 The Castle aims to bridge the gap between the medieval era, Sunshine Coast history and stages of Castle’s own heritage with a modern and innovative business approach. Get interactive with our educational treasure hunt for children and the young at heart. You have the opportunity to get a free treat from the King’s treasure chest. Our recently expanded history shields tour offers detailed information on the medieval elements of the Sunshine Castle and medieval history. For more fun get dressed up in themed head gear. Come see all the things to do with kids at our amazing venue! Our attraction venue is a stand out landmark in this location as a Norman style Castle. 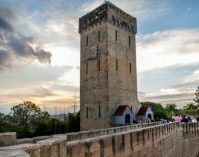 With its medieval additions, complete with moat, turrets, towers and drawbridge it is totally unique in Australia. The Sunshine Castle is filled with medieval and historical displays. More thyn that, you can find other cultural exhibitions as well as reminants of the original dolls and fairytales that were the reason for the Castle to be built in the first place. You are able to explore at your own pace in a self walk tour. Wander over the drawbridge into another time and feast with Kings in the Great Hall or squalor in shame in the dungeon. The Castle keep is a 24 metre lookout tower that offers stunning views from Coast to Hinterland. 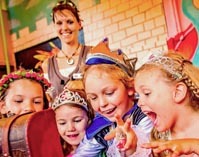 The Sunshine Castle hosts themed children’s birthdays, a special school holiday program, weddings, private and corporate functions, special events and festivals as well as school workshops. 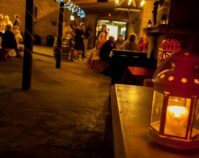 A selection of talented local entertainers are available to add flair to all of the functions including fire performers, belly dancers, wandering minstrels, magicians, theatre dinner performers, children’s entertainers and many more. For an epic kid’s birthday party, sure to excite your knight or princess and friends – checkout our venue options, entertainment extras and menu choices. A party to impress without the mess! The Sunshine Castle is the ultimate venue for the celebration of a lifetime. 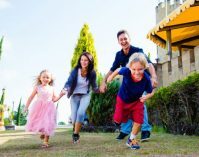 Explore the Castle, our Medieval Museum and History Shields Tour at your own pace, be amazed by the relics of the original dolls and fairy tales and and earn a treat from the Treasure Chest by completing our Treasure Hunt… Only your imagination limits who you can be..
Welcomed to our atmospheric Courtyard in this unique castle setting. Your delegates and guests will enjoy a magnificentmedieval celebration or an elegant event with royal flair! Your team will love something outside the box at our uniqe corporate functions venue.